A website has a lot of information that has to be accumulated from different sources to present a whole picture. The importance of databases in the working of a website cannot be understated. A website needs to access a database for recording and generating orders, customer information, and product specifications. There are a number of databases that are available for the purpose, depending on the type and volume of data that may be presented. 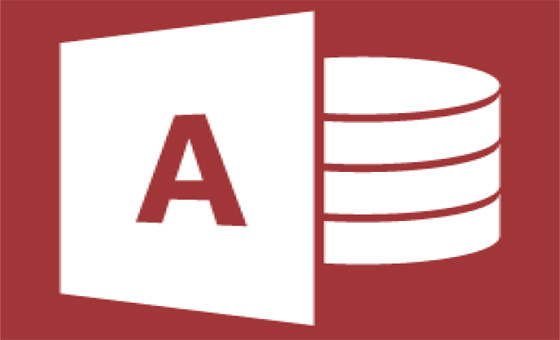 Microsoft Access is one of the simplest databases available. The software is relatively inexpensive and may be offered free by web hosts. It is easy to operate and master for average skilled web masters. MS Access provides highly flexible data management solutions in the market. The user friendly tools are helpful for smaller websites in the beginning to manage their data in a simpler way. The advantage is that the database can be converted into MS SQL format, whenever the need arises. MS Access database is best suited for desktop applications, serving a restricted amount of users at a time. Access offers compatibility with the systems used by home based users. Sending copies of the database to individual clients is easier with Access. Access being commonly used by most people, it is not necessary to install SQL on all user-machines. MS Access is a local database that cannot be accessed from remote locations. The intuitive GUI system enables quickly design applications. Any modifications to the database is done locally and uploaded to web server. This becomes cumbersome after the size of information crosses certain limits, leading to longer processing time. MS Access offers limited security for the database content than other systems. MS SQL is a more robust database which is web server based and designed to manage access to multiple users, which is not possible by MS Access. Even in case of server crashes, data recovery is greatly enhanced. Database driven websites prefer it over Access. It requires development tools like VB, .NET Visual Studios, and other front-end. MS SQL might prove to be costly for database hosting. MS SQL is very much reliable in terms of performance. The data manager is an excellent tool to manage information in the database. The data exchange is quick and efficient and includes filtering of unnecessary traffic. MS SQL being a proprietary product, the cost involved in license fees and maintenance by certified technicians may be huge. MS SQL allows the web master to manipulate changes in the database from any location. The software allows scheduling of tasks, set alerts, incorporate security accounts, and manage data transfer between different sources. SQL Server offers multiple authentication methods for different users like login into the server, or database, and into each module within the database. MySQL encompasses multiple storage systems and allows the web master to select the most appropriate one for each table. MySQL is most preferred by professionals because of the number of storage engines. These include Falcon, Memory (heap), Federated, Archive, Merge, CSV, Blackhole, Cluster, MyISAM, BDB, EXAMPLE and Maria. There are developer communities who are trying to customize MySQL to develop their own unique storage engine. MySQL allows commit grouping so that it can increase the amount of commits per second from multiple transactions. MSSQL Server and MySQL Server are the preferred databases because of the features that allow manipulation, securing and management of data. However, the lack of compatibility for some key database features in MySQL’s requires an interface to be developed. Slinky Web Design did a great job designing our new website. They managed the whole process and delivered everything that they promised. We were really happy with the result and the whole experience in general. They have also been managing our online marketing and again we are really happy with the results we have been getting from our good Google placings. Thanks again. Slinky Digital took over our digital marketing in 2014 and have done a terrific job ever since. Previously we were no where to be found in the search engines. Now we are at the top with all our keywords which has resulted in a great flow of sales leads. Would highly recommend this company. Slinky Web Design have done a great job with our web design and our search engine marketing. Would highly recommend them.